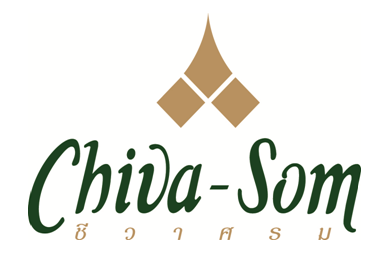 The much-anticipated re-opening of Chiva-Som International Health Resort, Hua Hin on 1 November 2018 is on schedule with this acclaimed Thailand property nearing completion of its current refurbishment program which commenced in May for the temporary period of closure. New and refreshed guest experiences will include the unveiling of more spacious Thai Pavilions in a contemporary Thai style and stunning new Thai Pavilion Suite accommodation featuring a glass-walled private space for around six guests, set amidst the tranquil gardens and suitable for private breakfast, lunch and dinner, meditation or just for relaxing. Glass doors, automatic blinds and insect screens in an outdoor private sala can be kept open or closed, in either case offering beautiful views of the surrounding lake and gardens. The Emerald Room will be brighter to give a fresh and relaxing ambience inside or on the terrace for breakfast, lunch and dinner while The Orchid Lounge will offer a new layout and style that includes a juice bar and live music corner as guests enjoy an extensive choice of mocktails, teas and other refreshments. The Fitness Centre will feature a new reception area, dedicated stretching area, new equipment and refunctional exercise studio whilst the Library and Guest Relations area are being given a new look and feel. This expansive period of refurbishment, which continues next year with Chiva-Som again to be closed from May through October, is being overseen by Chairman and CEO of Chiva-Som International Health Resort, Mr Krip Rojanastien, who together with Designrealization Siam co. ltd, one of the world’s most respected architecture forms, has developed a modern and fresh take on Asia’s much-loved classic. Chiva-Som is a popular destination for Australians offering guests a total lifestyle transformation to achieve wellness and longevity and will continue to present a full range of health and wellness Speciality Retreats, integrating naturopathic and conventional medicines, including A Taste of Chiva-Som, Art of Detox, Optimal Performance, Spa Wellbeing, Yoga for Life, Fitness, Natural Renewal, Sustainable Weight Management, Cell Vitality, Cranial Relief, Emotional Wellbeing and Tension Release. Reservations are available to book throughout from 1 November 2018 to 30 April 2019 when Chiva-Som will again close temporarily for the next phase of refurbishment for re-opening 1 November 2019.